The process of learning to read begins early with baby’s first books. The mere process of turning pages, looking at pictures and reading aloud starts the process of understanding about books. The use of the reader’s voice, the words spoken and the inflection of voice in sentence structure all play a part in first knowledge for learners. Laying foundations for reading is vital for the development of young learners. Learners who miss these early steps can have challenges in reading. Do not be concerned with the age of the challenged learner because that will place certain expectations which will not be met. You need to start at the beginning not where you think the challenged learner should be. It is vital that a child’s reading development level is assessed to gain their understanding of how books work. It is important to access appropriate books for a child with learning challenges in reading. Learning to read requires an understanding of how language works. To read we need to master three basic skills, syntax, semantics and phonics. Syntax is the way words go together to make up sentences and paragraphs. When a learner has grasped syntax they have an awareness of written language. Learners understanding syntax will recognize there are starts, stops and pauses in the text. This gives them an introduction to sentences, and the purpose of punctuation. This is a beginner step for a learner who is challenged by reading. To expose learners to syntax; Read aloud books that rhyme. Use your voice to punctuate. Follow the words with your finger and encourage the learner to do the same. Practice assisted writing and punctuating. Semantics is the ability to recognize words and what they mean, and the ability to recount a story and discuss a book as a whole. It also means word substitution and differentiating between words with similar meanings. To expose challenged learners to semantics we need to talk about a book as you read it. Read books that tell stories and do a brief recount of the story. Don’t stop at every word the learner does not know but tell them the word so they do not lose the flow of the story. If we wait for a challenged learner to work out the word they will lose interest. This is one of the reasons some challenged readers don’t like to read and so don’t gain essential practice. You will need to keep the flow of the story moving. Challenged readers will need you to read the story with them. Use a quiet voice, so their voice is louder than yours for words they already know, and a louder voice for words not recognised yet. This encourages both auditory and visual input. Stories with repetitive language also give the challenged learner plenty of exposure to the same words and sentences. Reread books regularly especially if the child has a favorite book. If you feel a book is too difficult read it to the child and ask them about the story. Saying it is too difficult will limit their ability to hear stories that they would love to be able to read. Phonics is the mechanical part of the reading process. This is how language works. The challenged learner needs to be able to know all sounds of the alphabet and the sounds that blends make. Sounding out words is important for reading. 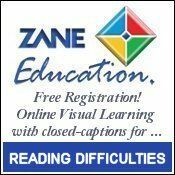 Teaching a sound base in phonics is essential for your challenged readers to attain success. You should work through a step by step phonics program and observe that the challenged learner is phonologically aware. To encourage phonological awareness try the following; Read rhyming books. Learn tongue twisters and alliterations. Use alphabet books with pictures and corresponding words and letters, to learn letters and sounds. Make sure the learner has stability in vowel sounds. Which vowel to use is often confusing if the correct sound is not heard and understood. Make word families on charts. eg; cat, sat, mat. Ask the learners to decorate with art work and write short sentences containing word families. Encourage listening skills by exposure to different sounds. Learning to read should be exciting and pleasurable for all learners. It is a lifelong skill and it is remiss of us to not notice that a learner is unable to master the skill. Be observant and quick with intervention for learners who have challenges. Heather Collins is an Early Childhood and Special Education Teacher who makes developmentally appropriate resources for teachers and parents to use with their children. She is author and co-author of poetry books and children’s books. She is a passionate collagist and has crafted beautiful finger puppets and story aprons suitable for early childhood education. Her resources can be purchased on this website or she can be contacted at Create-Ed by emailing heathercreated@gmail.com. You can order an original apron for any favourite storybook.